We are running a photo contest about sharing your photographs of things you recognize – something that we all do, consciously or unconsciously. This blog post is a much-condensed version of the chapter, Photographing What We Recognize, in my new book, Creative Visualization for Photographers. Take a look at the opening photograph for this post. My guess is that you don’t see only a dead tree. What do you see – or recognize? Take a good look. When I show this photograph to my workshops students, most see a silhouette of Christ’s crucifixion. That is precisely what I saw when I took the picture . . . and why I took the picture. - A man raising his arms to a crescent moon. - A blue sky with a low sun. - Neptune and his trident. - Christ, monsters, faith, welcome, danger, decay, a duck. - Evocative image. Very "Rorschach. – Many things to see in this image. - A man when a crown, birds at the end of his arms, leaning against a pole with a crescent moon. - A poor exposure and bad cropping. 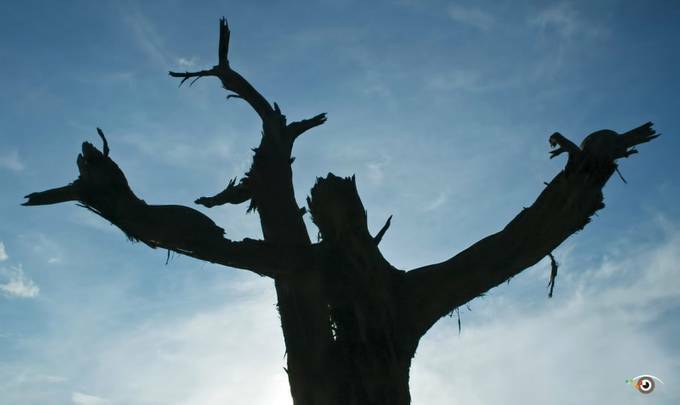 For a person living in the lush, green rain forest of Papua New Guinea who never heard of Jesus Christ, the image might remind him of a dead tree – if he had ever seen a dead tree in the thriving Papua New Guinea ecosystem. The point is that photographers, myself included, usually photograph what we recognize, consciously or unconsciously. What’s more, some photographers specifically travel to popular locations to get the “iconic” shot, the same shot that a million other photographers on the planet have taken. That’s not necessarily a bad thing. It can be fun and rewarding. The same is true for musicians, again including myself. Sure, I like to improvise, but I also like (try) to play the “iconic” leads of my favorite guitar players: Santana, Jimi Hendrix, The Allman Brothers. As I said, that’s not necessarily a bad thing. It can be fun and rewarding. Thinking about what others will see (recognize) in our photographs often influences our decision of what to photograph, how to photograph it, and what images to show and share. That is the message of this post and contest. The technical term for seeing a human face in an image is anthropomorphic, which stems from the Greek word anthro, which means man, and morph, which means shape or form. I have many pictures of faces, profiles and suggested faces. You may have some, too. 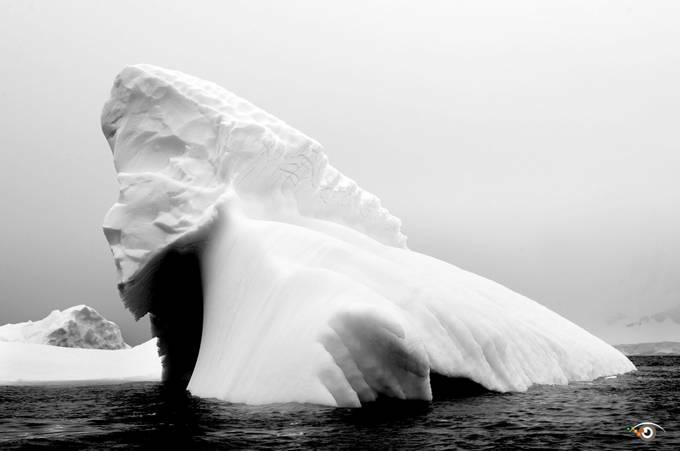 I took this photograph in Antarctica. The profile of a man is easy to see. It is an anthropomorphic image. Here’s a photograph by my wife Susan. 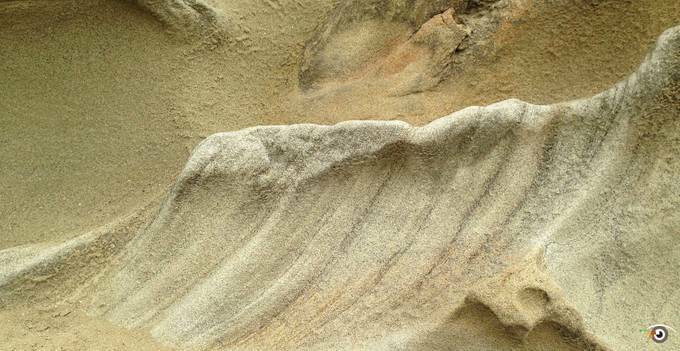 She took this picture at Minor White’s Wall (named after photographer Minor White) on the Oregon Coast because it reminded her of a wave. I see it too, and my guess is that you also see a wave. Images in which we see a similar or recognizable form are called isomorphic images. Here is one of my photographs from Minor White’s wall. At the time, I was attracted to the patters, shadows and shapes. That’s all, I thought. However, when I returned home and looked the photograph, I saw a human heart, perhaps with the valves near the top of the frame. Photographs in which we see living forms are called biomorphic. The word biomorphic comes from the Greek words bio, which means life, and morph, which means sharp or form. 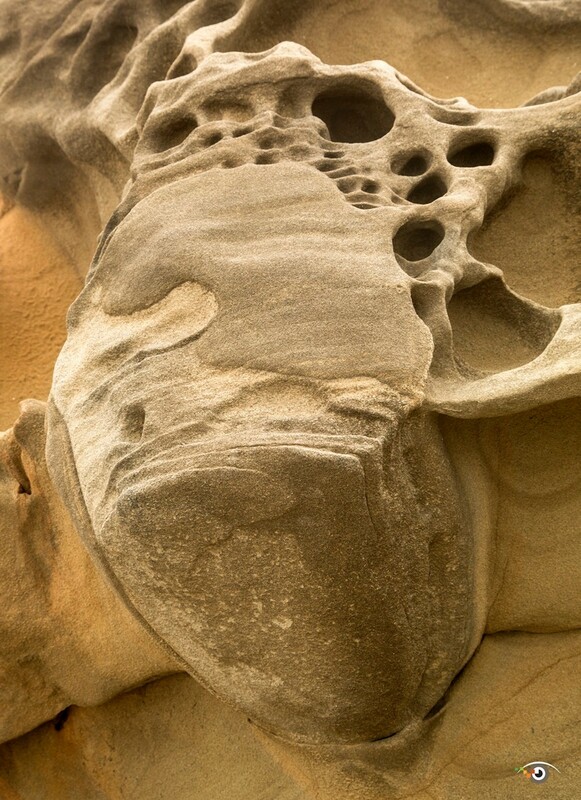 Check out this photograph that I took at Weston’s Beach (named after photographer Edward Weston) in California. 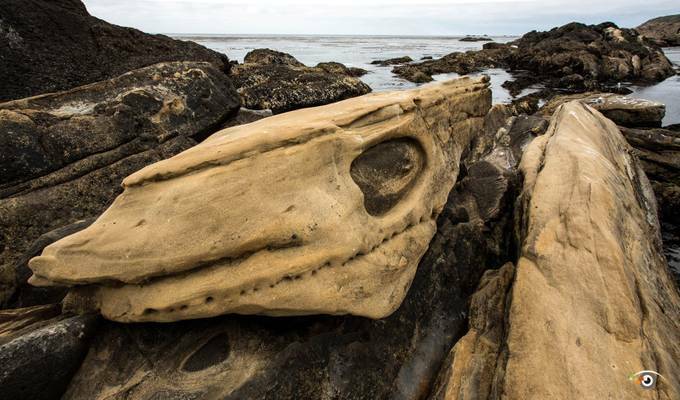 Here is what a few photographers see in my photograph; fish head, dolphin head, Pterodactyls fossil and Tyrannosaurus. If you imagine a beast (dinosaur) in this photograph, then for you it’s a theomorphic image. The term theomorphic is derived from the Greek words therion (wild animal) and morph (share or form). 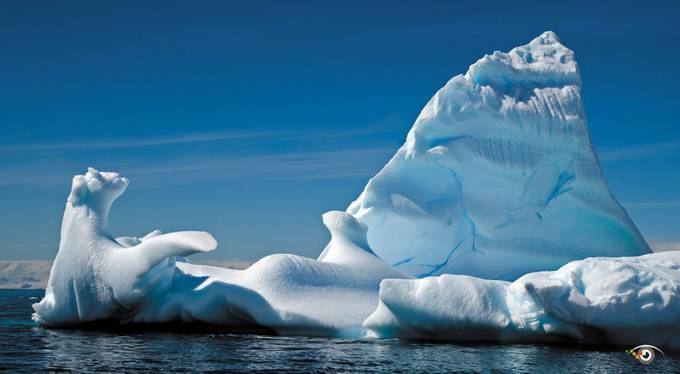 When I saw this ice formation in Antarctica, I immediately saw the shape of a polar bear. His eyes, ears and mouth were clearly recognizable, as were “the animal’s” raised right paw and foot. After I recognized a polar bear, I took the shot. My polar bear photograph is a zoomorphic images, that is, images in which the subject takes on an animal form. So here is the challenge of this contest: share a photograph of something that we recognize – a zoomorphic, biomorphic, theomorphic, isomorphic or anthropomorphic image. Rick Sammon is the author of 36 books, 11 apps and 13 on-line classes. See more of his work at www.ricksammon.com.